When the 2016 Engine Pro Sprints On Dirt by ARP 37th annual awards banquet commences this Saturday, November 5th in Battle Creek, Michigan, it will have quite a different look. Each of the top five drivers have come together from different segments of sprint car racing in 2015. Excitement and anticipation are increasing as the top twelve drivers will close out the 2016 season in a big way. When the new Engine Pro Sprints On Dirt presented by ARP “beyond limits” format was introduced in September 2015, many people questioned whether competitors would support it. Long-time Sprints On Dirt Series title sponsor Engine Pro, understandably skeptical, pledged its full support. Hoosier Racing Tire worked diligently to design and develop tires that would make the format a success. SOD season champion Brian Smith was a regular primarily at Fremont (OH) Speedway, but also at Attica Raceway Park in the FAST 410 series. Second place Steve Irwin ran mostly non-wing shows with only an occasional wing event. Third place veteran Mark Aldrich ran with the 360 SOD sprints. Fourth place John Gall raced at Butler Motor Speedway in the 410 winged sprints. Justin Ward was a lightning sprint champion. Numerous drivers from several states competed in 2016 SOD events as wide-spread interest in the new format increased. The ability to attract drivers from a variety of backgrounds in just its first season shows the strength and acceptance of SOD’s unlimited format. Careful, precise planning helped SOD create the format that remained unchanged and stable throughout the entire season; it will also remain unchanged for 2017. For more information about Engine Pro, go to here. For more information about ARP, go to here. Read all about Sprints On Dirt at here. Engine Pro Sprints On Dirt presented by ARP is brought to you by many important sponsor partners including: Engine Pro (Title Sponsor), ARP (Title Sponsor), Hoosier Racing Tire (Official SOD Tire), MAHLE/Clevite (Beyond Limits Challenge Sponsor), Engine Pro (Lucky Dog Sponsor), Lane Automotive (Primary Heat Race Sponsor), Engler Machine & Tool (Primary Heat Race Sponsor), COMP Cams (Primary Heat Race Sponsor), RockAuto.com (SOD Series Rookie of the Year Sponsor & SOD Sprint Car Rookie of the Year Sponsor), XYZ Machining (Sportsman of the Year Sponsor & Crew Chief of the Year Sponsor), KSE Racing Products (Hard Charger Sponsor). In addition, SOD contingency sponsors include: ATL Racing Fuel Cells, Allstar Performance, Kistler Racing Products, Schoenfeld Headers, K2W Precision/Keizer Aluminum Wheels, Ti22 Performance, J&J Auto Racing, BR Motorsports, King Racing Products, License 2 Play, Maxim Racing, Simpson Racing Products, Rod End Supply, Diversified Machine Inc. (DMI), Racing Optics. A tale of two tires, the journey to success. 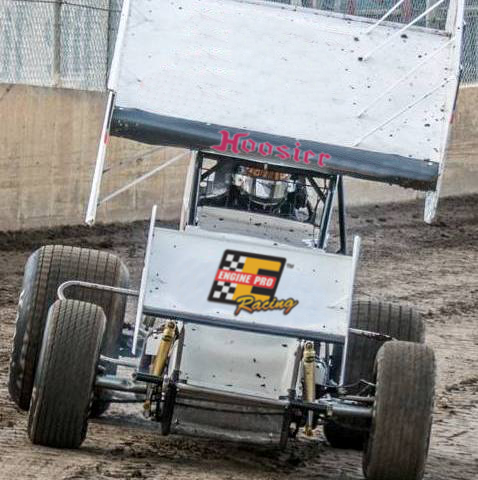 In late summer 2015, Hoosier Racing Tire began development of spec rear tires to meet the objectives of the Engine Pro Sprints On Dirt presented by ARP newly announced unlimited winged sprint car format. 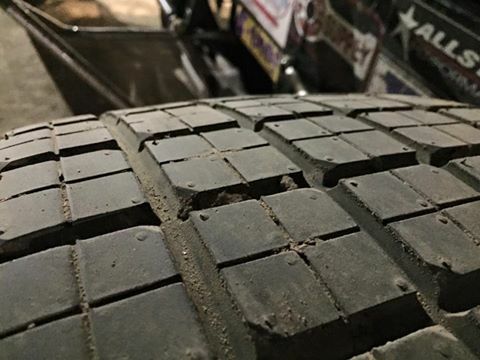 Well-meaning people had genuine concerns about how the tires would impact sprint car racing. There were also a few self-proclaimed experts who loudly predicted dire consequences. Some people viewed Hoosier’s task as simple, others as complex, and others as impossible. The world of sprint car racing took notice as SOD quickly became a major topic of discussion. While there were several objectives to be achieved, a few were key to success. 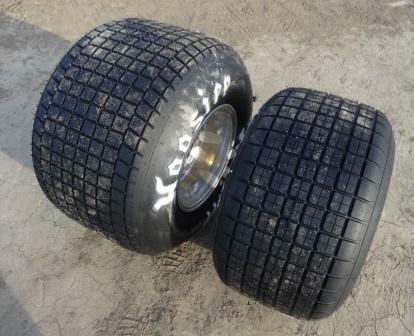 Hoosier had to design and build a right rear tire and a left rear tire that would equalize competition between different size engines, maintain competitiveness of races, and maintain the appearance of sprint car tires that fans were familiar with. The resulting right rear tire was slightly shorter than commonly used right rears, and both tires were a little narrower. The compounds of the spec tires are not excessively hard as some people expected them to be. In just the very first race of the season, most tire concerns were emphatically crushed. One prediction was that there was no way anything but a current 410 cubic inch engine could win. However, a 360 engine was driven by Ryan Ruhl to a convincing win on the biggest, fastest track on the SOD schedule, Hartford Speedway. Emphasizing the equality achieved, Brian Smith finished second with a twenty year old 410 -12 motor. The next day, Smith won with a dramatic finish line pass of Doug Zimmerman’s 410 at Butler Speedway. Most 2016 races were won by 410s. If engine equality was achieved, this was to be expected since most competitors ran 410s. But among the 410 wins were four by previous generation motors. Three by Brian Smith’s 410 -12 that, as dyno testing shows, has no horsepower advantage over current, high dollar 360s. At Crystal Motor Speedway, Stevie Irwin won with his 410 -12×12 motor and Dustin Stroup finished second with his 410 -12 motor. Ryan Ruhl had two convincing wins with his 360 as well as a second in only four SOD races. Although there were no 305 wins, there easily could have been if not for late race cautions on a couple occasions; 305s did have second and third place finishes. Competitors quickly adapted to the new tires. Contrary to predictions of terrible drivability, all races were run with very few cautions and exciting side-by-side racing unmatched in previous years. Success of the unlimited format was very evident as fan enthusiasm and support grew throughout the season. How the Hoosier SOD spec tires look on-track. The initial shock of no longer being able to make large stagger changes worried many competitors. It didn’t take long, though, for them to discover that they could race just as well, maybe even better, without the added expense of several different left rear tire sizes. Ironically, while some competitors ran as much stagger as they could achieve, others ran equally well with the least stagger. Another popular myth that was busted was the perceived benefit of running narrower wheels. Hoosier advised competitors to stick with 17” right rear and 15” left rear wheels for optimal performance. Some competitors purchased and ran narrower wheels, but quickly set them aside. All 2016 races were won utilizing 17” and 15” wheels. Another significant impact of the spec tires was making the driver a more significant factor in race performance. Brian Smith’s smooth, consistent driving style paid big dividends under the SOD unlimited format on the Hoosier spec tires. His earlier comment about forward bite versus side bite echoed the comments of Stevie Irwin and Ryan Ruhl during preproduction testing in September 2015. SOD spec tires performance characteristics were excellent. Tire wear and performance drop-off were much less than anticipated. Tire durability was exceptional. Just like any other racing tire, tire management was important. With the smaller contact patch of the spec tires, excessive tire heat was a legitimate concern, but unless underinflated beyond acceptable limits, there were no issues. 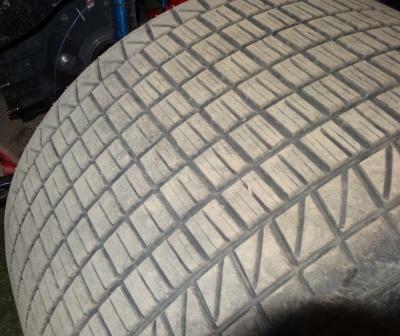 Left rear after a full night and 25 lap feature on a ½ mile track. Now, with a full season behind the new Hoosier SOD spec tires and literally every concern about them put to rest, the future looks bright. Smith summed up the new spec tire package this way: “Overall I think it’s a huge step in making sprint car racing better and more competitive.” We agree. For more information about Hoosier Racing Tire, click here. 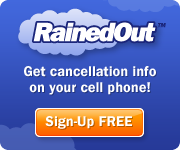 For more information about Engine Pro, click here. For more information about ARP, click here. Engine Pro Sprints On Dirt presented by ARP is brought to you by many important sponsor partners including: Engine Pro (Title Sponsor), ARP (Title Sponsor), Hoosier Racing Tire (Official SOD Tire), MAHLE/Clevite (Beyond Limits Challenge Sponsor), Engine Pro (Lucky Dog Sponsor), Lane Automotive (Primary Heat Race Sponsor), Engler Machine & Tool (Primary Heat Race Sponsor), COMP Cams (Primary Heat Race Sponsor), RockAuto.com (SOD Series Rookie of the Year Sponsor & SOD Sprint Car Rookie of the Year Sponsor), XYZ Machining (Sportsman of the Year Sponsor & Crew Chief of the Year Sponsor), KSE Racing Products (Hard Charger Sponsor). In addition, SOD contingency sponsors include: ATL Racing Fuel Cells, Kistler Racing Products, Allstar Performance, Schoenfeld Headers, K2W Precision/Keizer Aluminum Wheels, Ti22 Performance, BR Motorsports, King Racing Products, License 2 Play, Maxim Racing, Simpson Racing Products, Rod End Supply, Diversified Machine Inc. (DMI), Racing Optics.